Home » Posts Tagged "Sundance Film Festival"
As the 2016 Sundance Film Festival kicks off on Thursday in Park City, Utah, U.S.A., Sundance Institute and Picturehouse have adjusted the previously announced 2016 dates for the Sundance Film Festival: London to 2 – 5 June at Picturehouse Central. 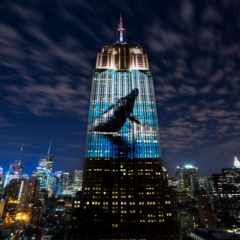 This December, Discovery UK will premiere the captivating, groundbreaking and visually stunning film RACING EXTINCTIONin a global exclusive event that will see the film aired in 220 countries in a 24 hour period. It’s Christmas Eve in Tinseltown and Sin-Dee (newcomer Kitana Kiki Rodriguez) is back on the block. Upon hearing that her pimp boyfriend (James Ransone, STARLET, “Generation Kill”) hasn’t been faithful during the 28 days she was locked up, the working girl and her best friend, Alexandra (newcomer Mya Taylor), embark on a mission to get to the bottom of the scandalous rumor. 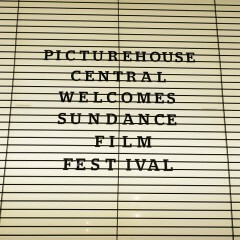 Sundance Institute and Picturehouse will host the Sundance Film Festival: London from 10 to 12 June 2016 at the recently launched Picturehouse Central. The festival will feature the international and UK premieres of films from the 2016 edition of the renowned Sundance Film Festival in Park City, Utah, USA.